I think this is very nice. 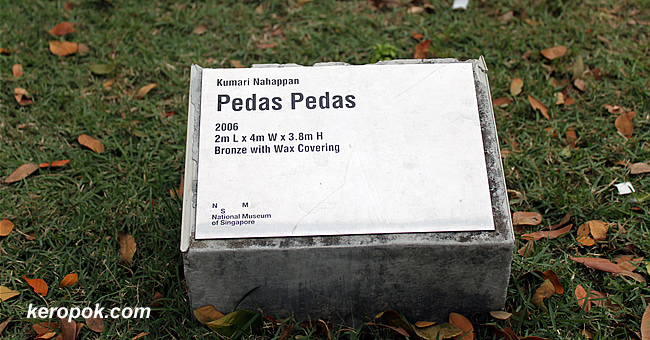 Dried Chilli and it's named Pedas Pedas (Very Spicy / Hot). 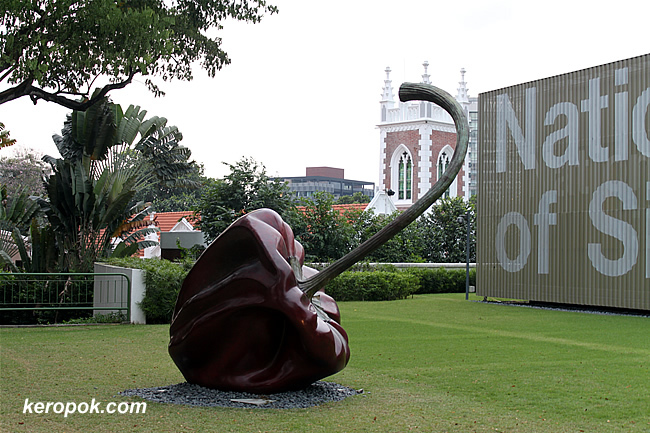 It's located at the back of the National Museum of Singapore. Talking about spicy, do you like spicy food? Yes, I like spicy food, but not too hot! This is a COOL sculpture and fun pic! Minneapolis has a huge cherry on a spoon sculpture at the Walker Art Center outdoor sculpture garden. Similar! Sorry I don't have a weblink for it! Very cool! I like spicy food but that size would blow your head off!! Lol. yes yes. hot hot. like like. any side effects AFTER? hehe.. I always do if i eat too much. LOL..... I become King of the Throne!